Whitianga Waterways, by Hopper Developments, offers spectacular waterfront living opportunities along man-made canals. The project commenced in 2001 and has become a thriving community of water sport and boating enthusiasts. 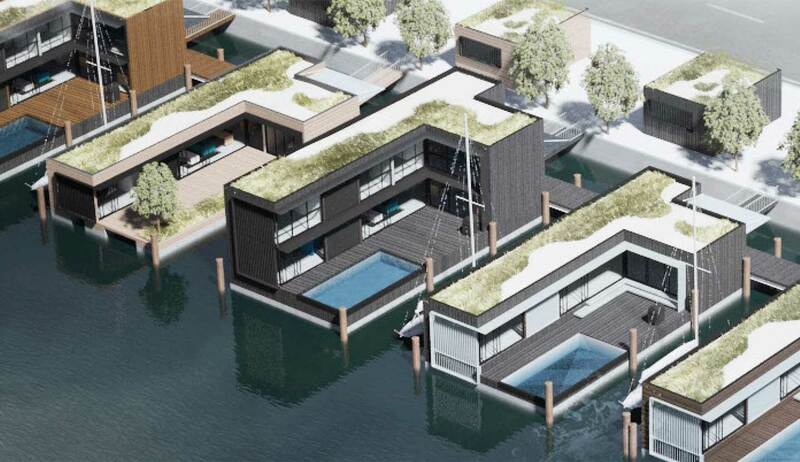 In 2019, a new marine district will be added to include space for 12 boat-friendly floating homes, each with an 18 metre berth attached. 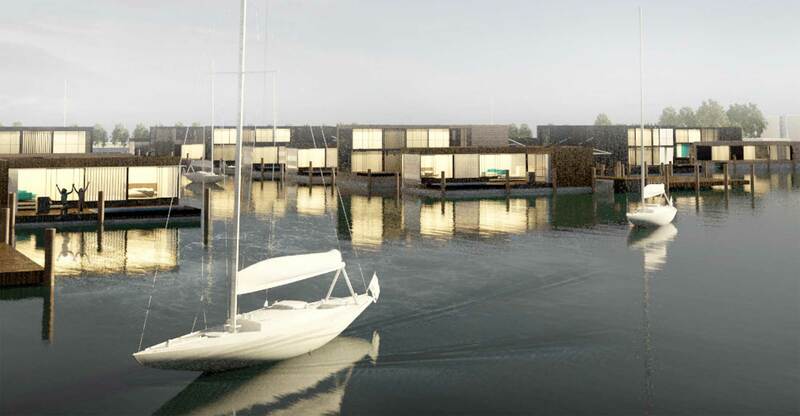 The 12 units will be located along the canal leading up to the marina, offering the ideal setup for boating enthusiasts. Each floating home offers an 18m berth, plus spaces for smaller boats or jet skis to berth along the canal. In addition, each unit has its own garage as well as road-side parking for convenient access to your boat. 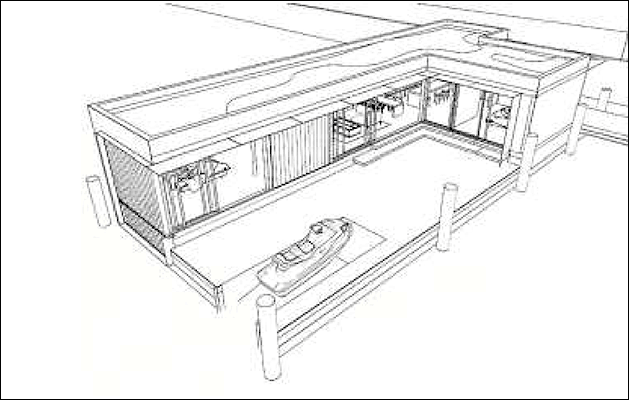 Avoid traipsing gear through the house: a gangway leads directly from the garage to your boat. Reflect your lifestyle in the design of your home: a north-east orientation would allow you to enjoy the sunset on your floating deck with the morning sun illuminating your kitchen, while for early birds, the morning sun would be better appreciated with a north-west setting, sheltered from the south-westerlies. 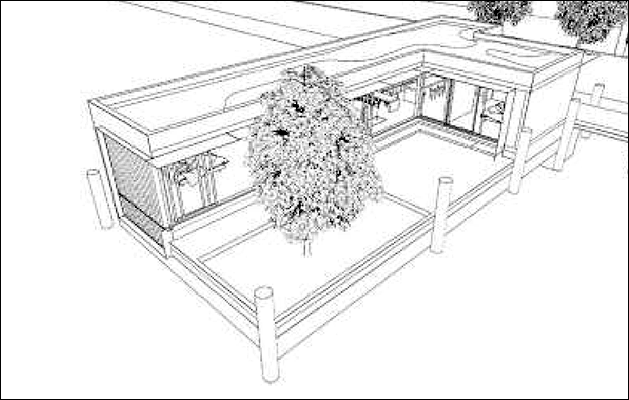 Either position allows for maximum privacy as the views are all oriented to the deck and the canal. Fixed louvers allow for abundant daylight into your kitchen and bathroom but simultaneously block the views from, or to, your neighbour’s deck. Based on a 9 x 20m footprint, the units are available in single or double storey variations, with layouts of from 1 to 6 bedrooms. 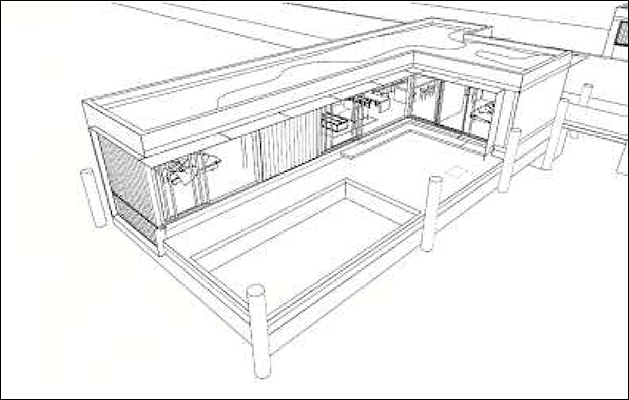 The most affordable model is the single storey 2 bed unit on a series of connected pontoons. 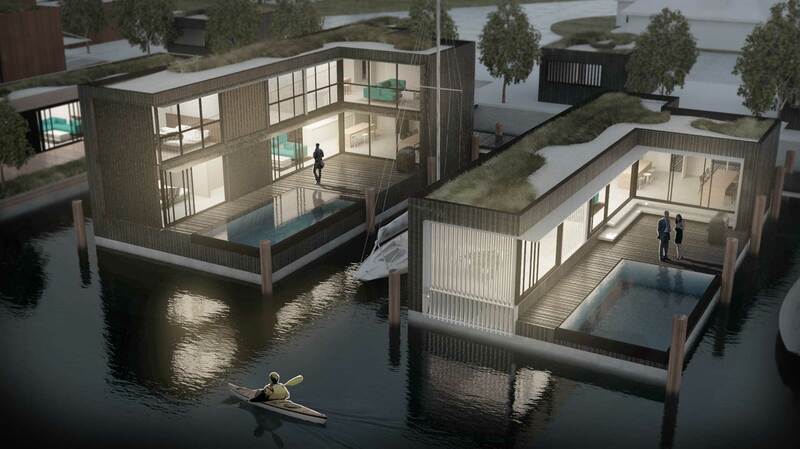 To make the most economic use of the floating pontoons, an inhabitable basement can also be utilised, allowing for a 4 to 6 bedroom layout and creating a boat-like scenario where the bedrooms are “below deck”, with views over the water table. Alternatively, a second floor could be added on top, again allowing for up to 6 bedrooms. See floorplans for further details about the layout variations. 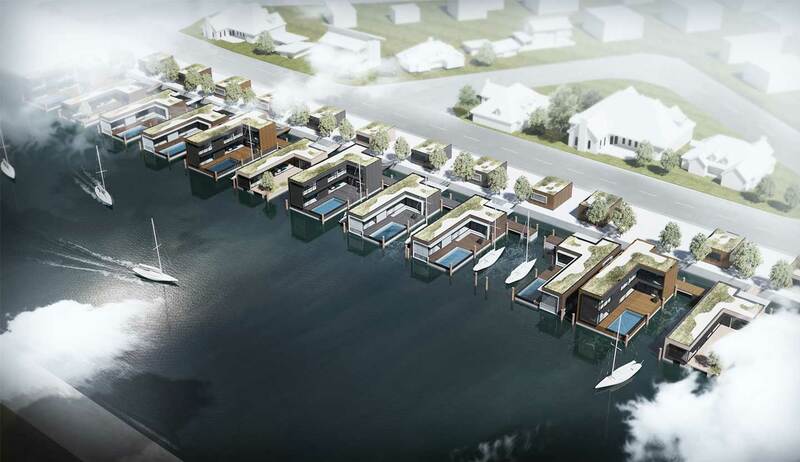 We are currently developing four different styles of floating home, all based on the same footprint. You can choose from one storey units with one or two bedrooms, to larger double storey six bedroom layouts. Roof terraces, pools, hot tubs, water slides, Jet Ski ramps or other ideas of your own can also be integrated as you please. The floating homes can be commissioned as shell only, or you can engage us for a customised interior. Our interior designers will consult with you about special functions and your preferred layout, and will offer their valuable experience about finishes and furniture. We will take care of the construction process for you. Or a miniature lawn with your favourite tree.